Potassium (K) is a macronutrient. 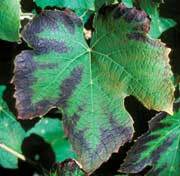 Yellowing between veins of leaf (Interveinal chlorisis). Reduced flowering/fruiting. Leaf tips can look burnt or black. Potassium carbonate or potassium hydroxide (pearl ash, potash). This will raise PH, so add Potassium slowly and test every few days. Heavy metals added to a closed loop system will ruin an aquaponics system.